We saw the Philadelphia Eagles last year win a game on a 61-yard field goal. Didn’t think that could have been topped did you? 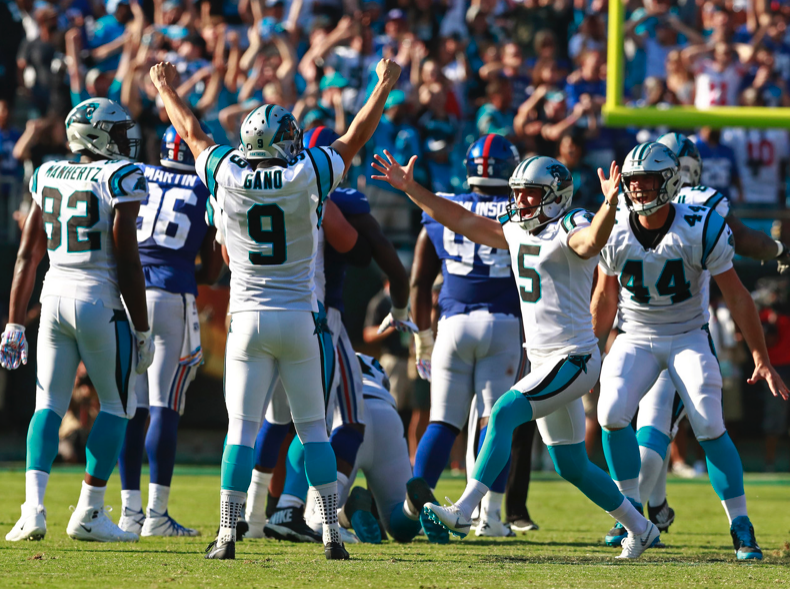 Well, Graham Gano of the Carolina Panthers did with a 63-yard game winning field goal against the New York Giants. In a year where kickers seem to be having one of the worst seasons in recent memory, it was nice to see some success for a change. I normally don’t glorify this position, but how often are you gonna see this kind of feat? Speaking of game winning field goals, the one by Greg Joseph of the Cleveland Browns has to be one of the ugliest game winning kicks of all-time. But alas, it gave the Browns twice as many victories as they had last year. Baker Mayfield is quickly showing why he was the number one overall choice in the draft and their defense is becoming a force. This doesn’t mean I’m jumping on any bandwagon mind you. A lot still needs to happen for them to make the impossible possible, which is making the playoffs. 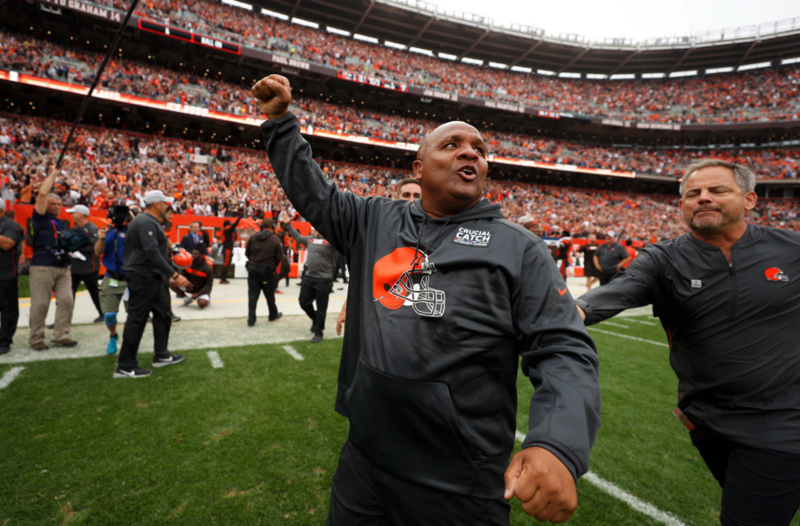 However, considering everything that’s happened to them this season, the Browns could reasonably be undefeated right now. Shocking I know. Records are meant to be broken, but lately in the NFL it’s almost becoming a running joke. Brett Favre had the passing yards record for a good while until Peyton Manning got on his run with Denver. Manning seemed to barely have it with Drew Brees now passing him as the all-time passing yards leader in NFL history. 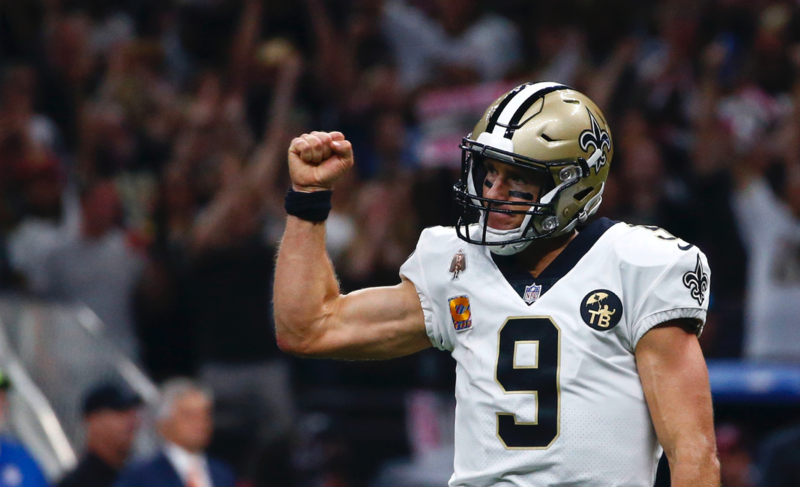 It would seem that Brees should hold on to it for some time with the next closest being Tom Brady and a little under 5,000 yards behind him. But if these two keep playing for another 3 or 4 years, there’s no telling how much further this record will go. This entry was posted in Football and tagged Browns, Football, NFL, Panthers, Saints, Weekly Review.